Mount Fuji was registered as a UNESCO world cultural heritage site in June 2013. After all, you cannot speak of Japan without mentioning Mount Fuji! As you know, it is Japan’s tallest mountain. Mount Fuji is an active volcano between the two prefectures of Shizuoka and Yamanashi. It is an independent peak and also Japan’s highest peak. The altitude is 3776m, approximately 6 times the Tokyo Skytree. The entire surface area measures 1,200 km2, about the size of Okinawa Island. The highest peak is Sword Peak, home to the Mount Fuji meteorological observatory. There is a landmark on this peak marking Mt. 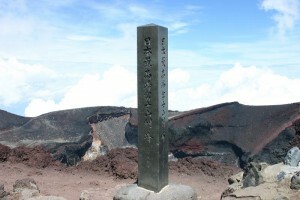 Fuji’s highest altitude, at 3776 km. 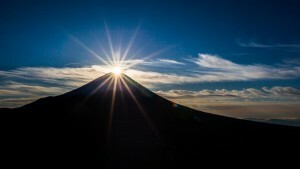 UNESCO registered Mt Fuji as a world cultural heritage site citing two items, “faith and art”. Mount Fuji was acknowledged as a site that symbolizes the harmony between nature and humanity; Mt Fuji is the product of the surrounding community’s integration with this natural landscape. Historically communities revered Mount Fuji as the magnificent mountain where the gods resided. Late in the Heian era, it became a place of worship and Buddhist priest started summiting Mount Fuji as part of ascetic practices. In 806 AD, the Hongu Asama Shrine is erected on Mount Fuji, which is then expanded by Ieyasu Tokugawa during the Edo Period. It was then that ordinary people were invited to climb Mount Fuji in reverence of the gods there. Mount Fuji has had great impact on historical art as well. There are many poems are inspired by Mount Fuji as found in the “Manyoshu Tanka Collection,” Japan’s oldest collection of poetry. 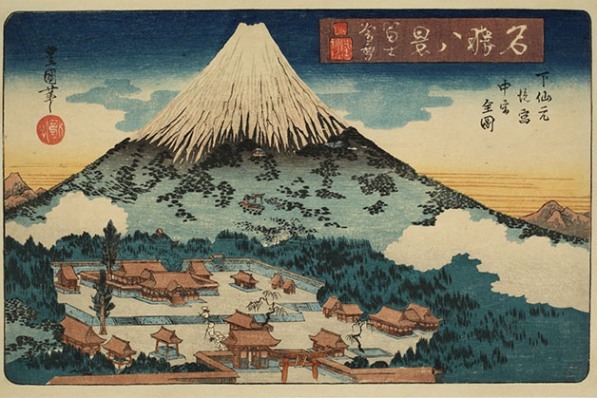 Mount Fuji is also set as the backdrop of classic folk tales such as Taketori Monogatari, Ise Monogatari, and is cited in the poetry collection Kokin Wakashu. There are also several several Ukiyoe paintings that feature Mount Fuji. Mount Fuji has many faces and this sight changes according to the climate and seasons. ・Red Fuji 赤富士: when Fuji is painted red from the sunset. ・Scarlet Fuji 紅富士 : When the snow caps on Fuji is painted scarlet from the dawn. ・Inverted Fuji 逆さ富士: A duplicate image of Mount Fuji reflected on nearby lakes on a clear day. ・Shadow Fuji 影富士: The outline of Fuji through deep layers of fog. These are momentary natural phenomenons that occur against the backdrop of nature – Mount Fuji’s collaboration with the sun and the moon, sunrise, sunset, lakes, mist, and clouds. This scenery varies by season and year and tourists are not guaranteed to witness any of these natural phenomena – but the thrill and emotion when you actually do witness one of these, is beyond words. 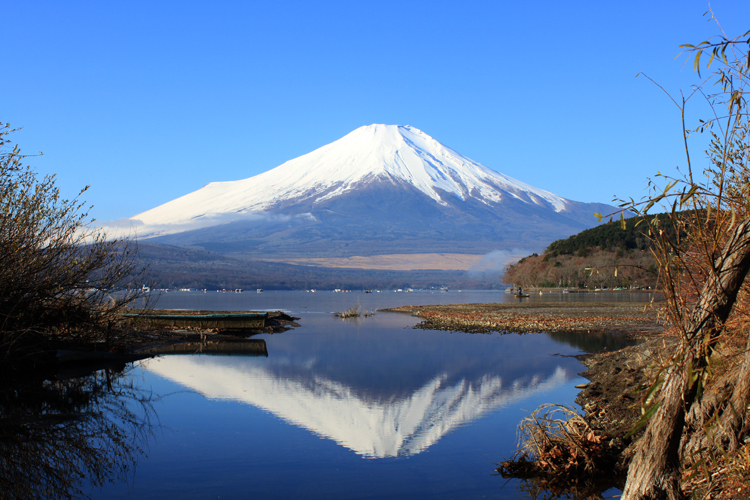 See the many different faces of Mount Fuji and find your favorite! Tea ceremony / Sadou is the beautiful world of Japan.